The Cleveland County Historical Society Welcomes You! Now Available! CLEVELAND COUNTY, ARKANSAS, Our History and Heritage, Volume II, 9×12 with over 400 pages that has a hard cover in navy with gold lettering and county logo. Please go to the – Our Publications – section above for a special offer and order details. The link below is to the Research of the Arkansas Genealogy Project. 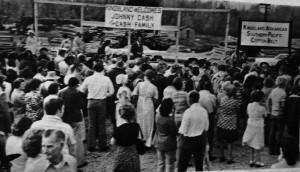 This site provides historical information about Cleveland County and its people. 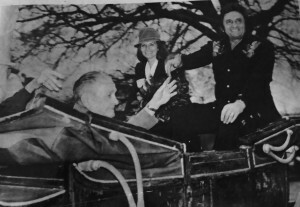 Johnny Cash and The Cleveland County Historical Society (CCHS). 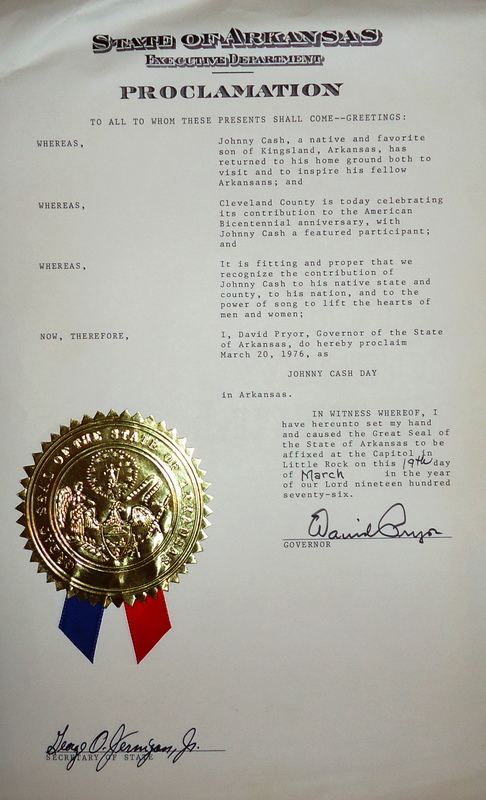 The CCHS was formed in 1974 with its primary focus on preserving the history of Cleveland County and its people. 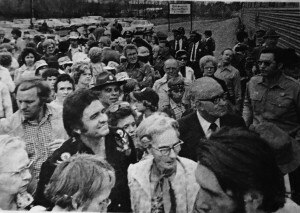 One of our first and largest undertakings was to support 1976 Bi-Centennial activities in the county that included a special day of events when Johnny Cash returned to his birth county in March 1976 for a day of celebration. 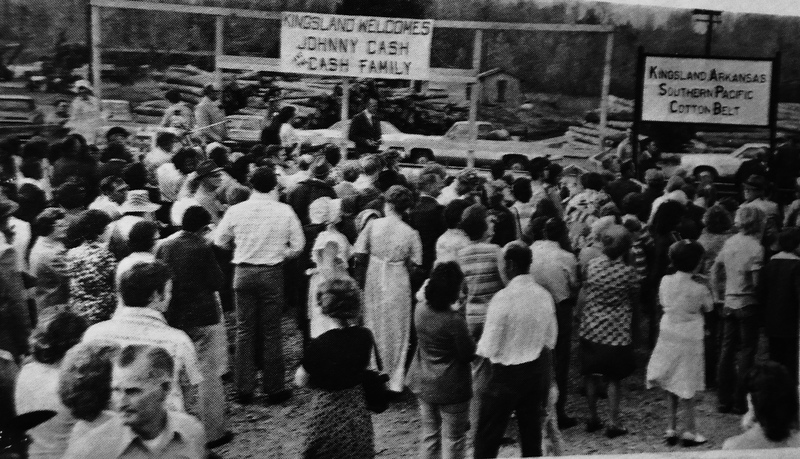 The day’s special events started at Kingsland where he was born. 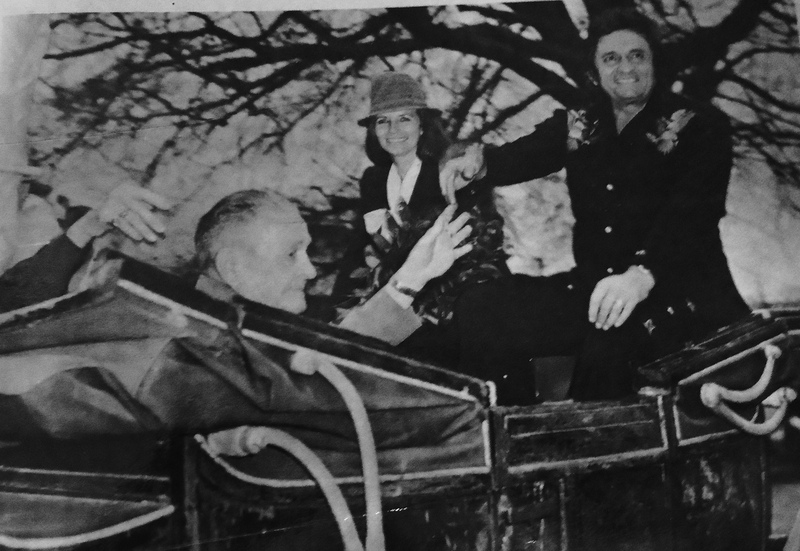 He then boarded a train on the Cotton Belt Line and rode from Kingsland to Rison where he served as Grand Marshal of the parade through downtown. 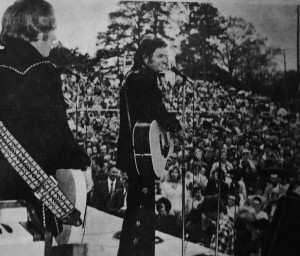 The day concluded with a Johnny Cash Concert at the Rison Football Field. 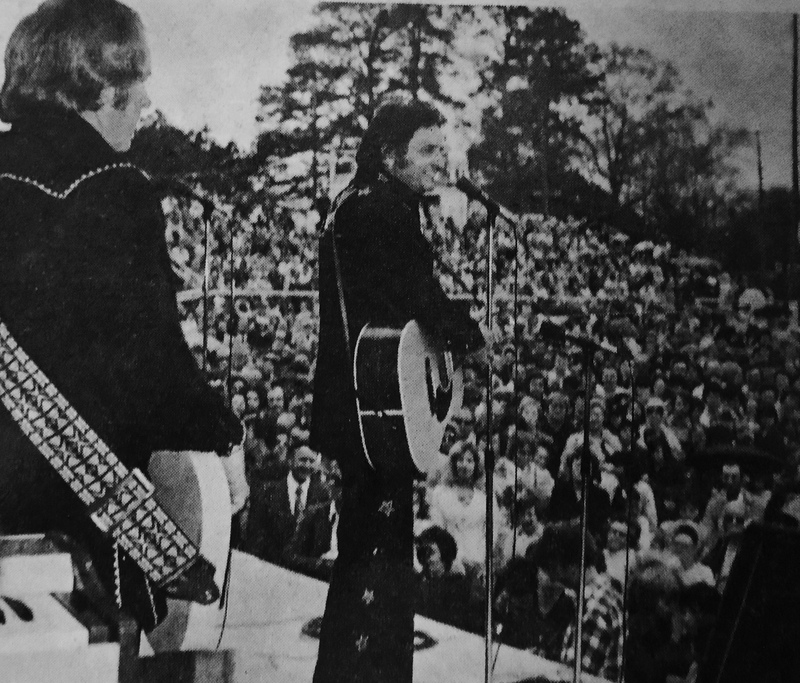 After the concert Johnny Cash made a large contribution to the CCHS that was some of our seed money that helped in underwriting our numerous books, journals, and events. Below is the link to the KATV Channel 7 Archive of that day that is maintained by the David and Barbara Prior Center for Arkansas Oral and Visual History at the University of Arkansas. Also below are a few photos of that days events from the Cleveland County Hearld’s March 1976 Special Edition that is preserved in our library.